Claire is a DPhil student, affiliated to the Refugee Studies Centre. Her doctoral research explores the transfer of the management of refugee affairs from the United Nations Refugee Agency (UNHCR) to the Government of Kenya. It focuses on the re-engagement of the government in refugee affairs since 2006 and more specifically the transfer of registration and refugee status determination from UNHCR to the government. Drawing on ethnographic research, it aims to contribute to ethnographies and theories of the African state and developmental change. Claire holds an MSc in Refugee and Forced Migration from the University of Oxford, an MPhil in Development Studies from the University of Cambridge and a BA from the University of Bristol. In mid-2018 she will be a visiting student at the African Centre for Migration and Society at the University of Witwatersrand. She is a recipient of a full studentship from the Economic and Social Research Council (ESRC) UK. Claire is also interested in the impact of biometrics on refugee registration and co-convened a workshop entitled ‘Deconstructing Biometric Refugee Registration, hosted by the Refugee Studies Centre, in June 2018. 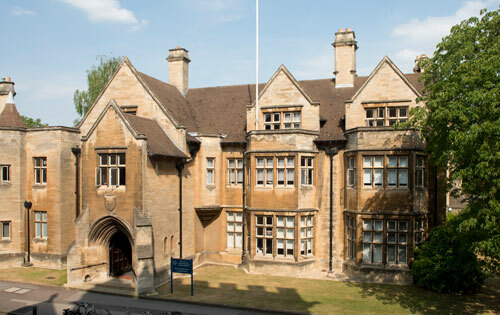 Claire has taught on the MPhil in Development Studies at the University of Oxford and visiting students at Lady Margaret Hall and Regent’s Park College, University of Oxford.